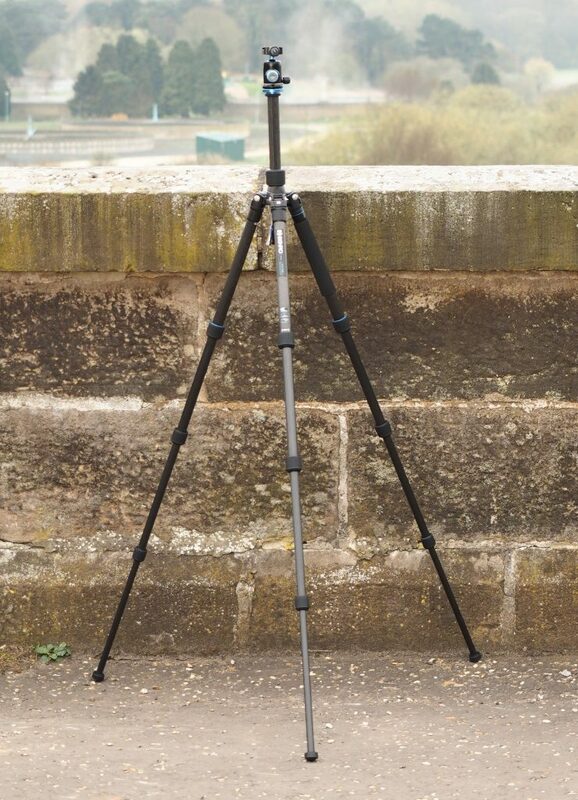 I bought a Benro FTA18VC0 Travel Angel tripod as a lightweight tripod, wanting something easier to carry on hikes or cycle rides. 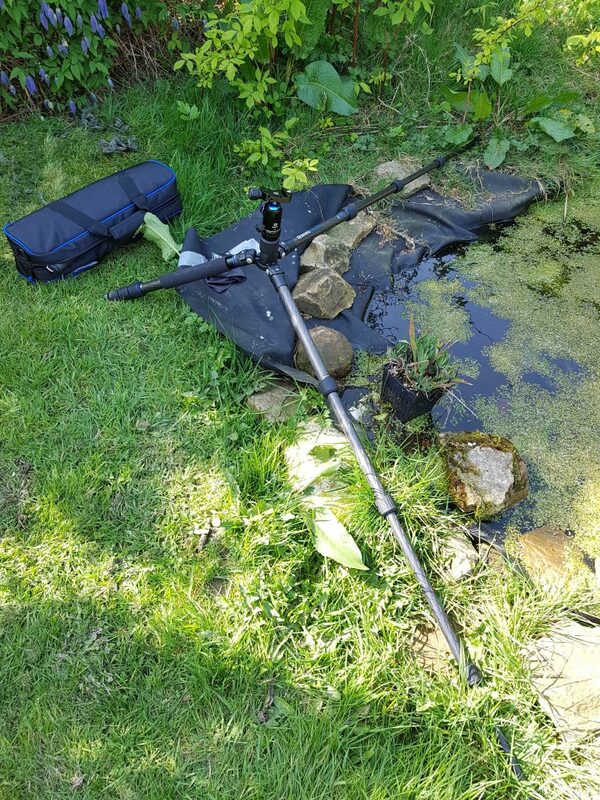 Choosing a tripod is a compromise, with one end of the scale occupied by very solid but large and heavy tripods like my old Manfrotto 055, and the other occupied by small and lightweight tripods such as the Surui T-025X and the Manfrotto Be-Free. Tripod legs, one of which unscrews. 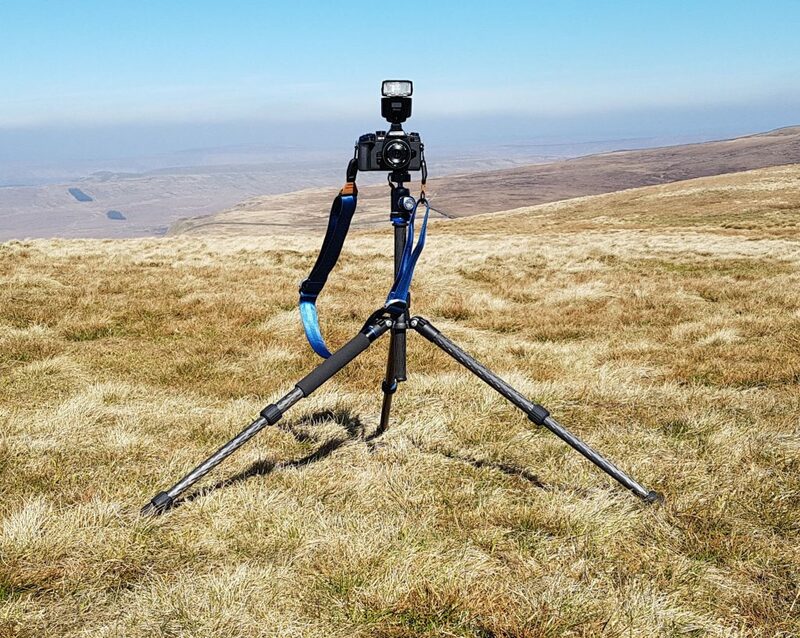 Benro tripod on Pen-y-Ghent, with Olympus O-MD E-M1, 17mm lens and Nissin i40 flash. Legs set wide for stability on uneven terrain. Using the short centre column. The two long legs are at their low setting. The short leg is set to its middle setting. When all three legs are set low the plate is just below 25cm off the ground. 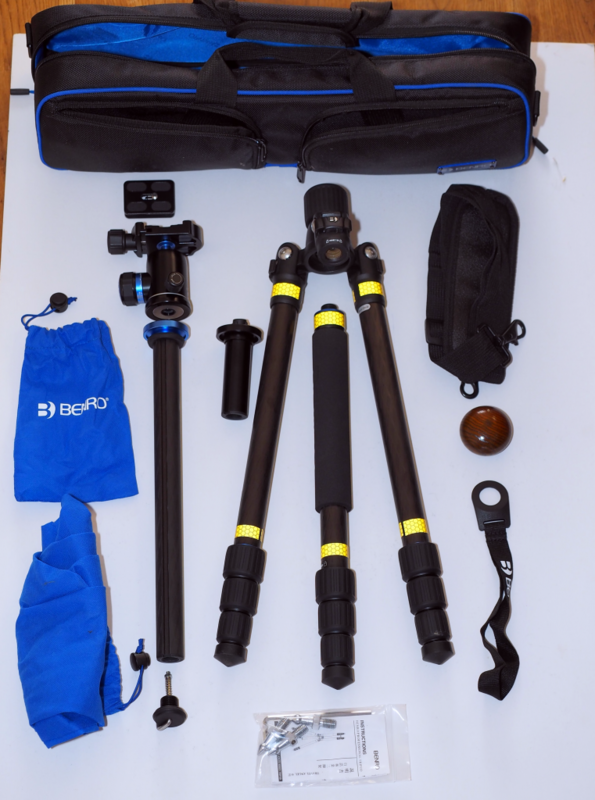 The tripod in its smaller bag will fit into a 26l day sack and, just about, an Ortleib rear pannier. 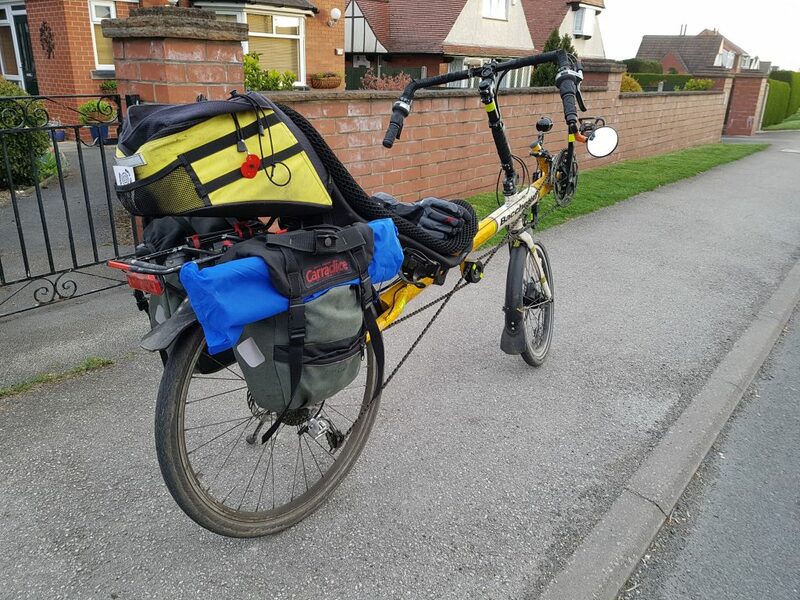 It can be carried on a pannier rack easily in its padded bag, or as below.